Using lemon balm and sage to season your roasted chicken creates a delicious main course for your meal. 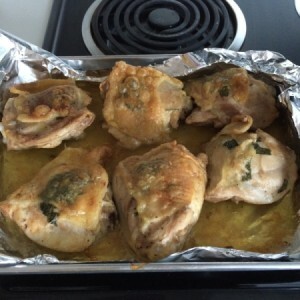 This page contains roasted lemon balm chicken recipes. This is really delicious, and even better if you grow your own herbs. Set aside 1/3 of the whole lemon balm leaves and 1/3 of the whole sage leaves. Chop the remaining lemon balm and sage leaves into a bowl with the butter, and season to your liking with salt and pepper. Mix until well blended. Loosen the chicken skin and rub the mixture under the skin, and all over the bird. Rub the skin of the chicken with garlic powder, salt and pepper. Place the reserved herbs in the chicken cavity and place breast-side down. Note: I used chicken thighs. I used all of the herbs in the butter mixture, and spread it under the skin. Roast in the oven for 30 minutes, turn over and roast for 20 more minutes. 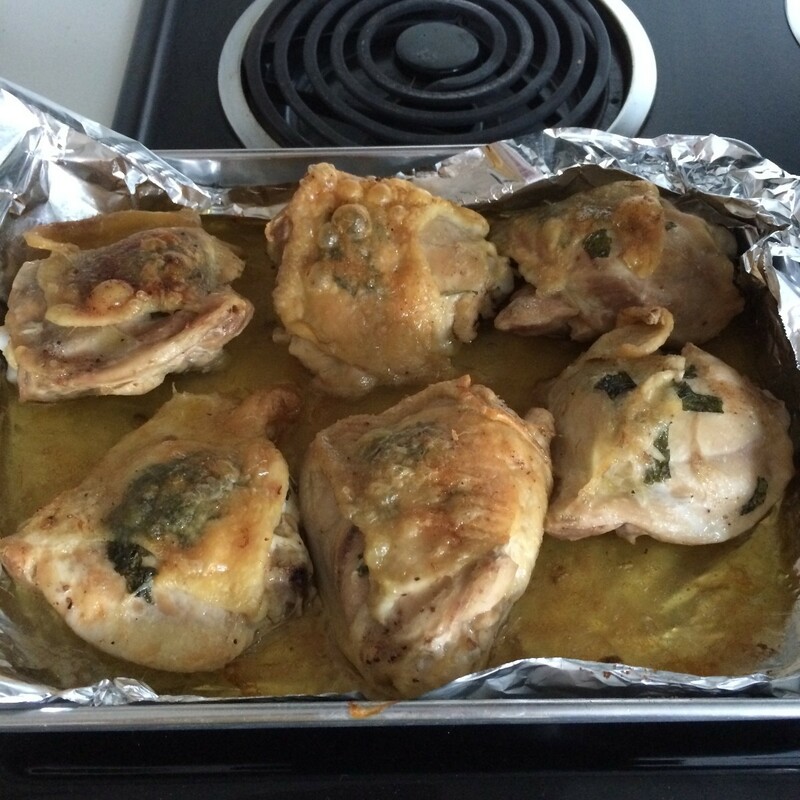 Chicken is done when it is 180 degrees F. Let the chicken sit for about 10 minutes before serving.